meeting began. 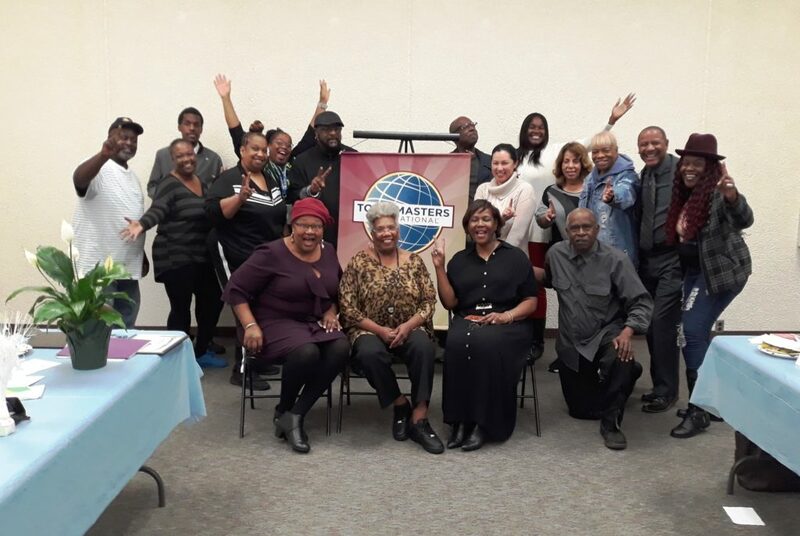 Compton Elite Communicators—affectionately known as CEC—was celebrating its 20th Anniversary as a Toastmasters club! Lunch was delicious! Food Chair Laura Brown and her team laid out an appetizing spread of chicken tacos with all the trimmings, refried beans, rice, fiesta salad, fruit salad, cupcakes, and Vickie Love’s stuck-her-foot-in-it, mouth-watering peach cobbler and sour cream pudding cake. There was so much food, we happily invited the library staff in to help us eat it all. Morris, Margaret Mitchell, Martha Pickett-Patterson, Edgar Allen Kemp. nods of assent from an engaged audience. 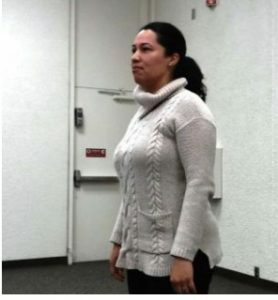 Club member Natalie Torres-Haddad, a teacher, author and professional speaker, spoke movingly about how much she valued the opportunity to practice her speeches at club meetings and get valuable feedback. She credited CEC for helping her prepare for speaking engagements outside the club, including a TEDx talk and, most recently, a keynote address at the University of Berkeley. 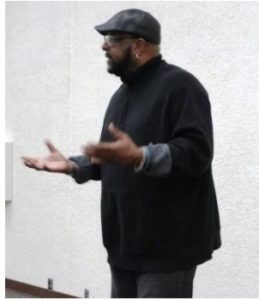 Club member Alonzo Williams, hip hop historian, author, and professional speaker, revealed how free he felt since making the decision to hang up his hat as a nightclub owner. 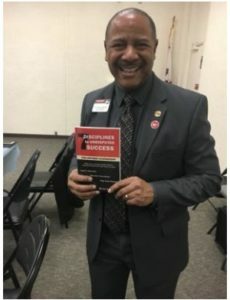 After 40 years in the business, he looks forward to building his speaking career and continuing his work with youth through his nonprofit organization. His next big gig will be standing on the stage as a panelist with Cornell West. 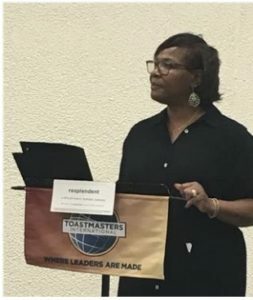 Pickett-Patterson, Toastmaster; Vickie Love, Timer; Michael Milton, Wordmaster; Karen Persip; Setup/Cleanup; and ImUnique (Lisa) Spearman, Videographer/Photographer. I was happy to see Gay Morris, a past Club President; Barbara Blankenship, who mentored the club during our infancy 20 years ago; Janell Williams, Area F6 Director; and Janet Kemp, Division F Director. All these fine ladies have supported the club in countless ways, some for many years. During impromptu remarks, Ron Dowell pointed out that Compton Elite Communicators has long been a shining jewel in the City of Compton. At our Anniversary Celebration, we sparkled brilliantly! Aren’t some of the best parties those times when we get together with family or close friends for fun, food and frivolity? The CEC Anniversary Celebration had that kind of feel. It was a wonderful party! The icing on the cake came at the end, when we added a new member — Division F Director Janet Kemp! 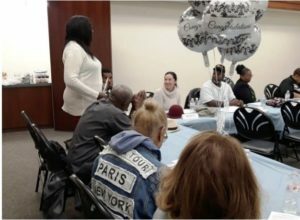 Wednesdays of the month at the Compton Library, 240 W. Compton Blvd., Compton 90220. Occasionally, our regular meeting time is pre-empted by other library events. Please check with us before you visit. We love having guests! Come visit us soon! Next Post:Congratulations Public Relations Manager, Jessica Allen, DTM, PDD!